You can use the Dublin Bikes network around George's Dock Stop: Dublin Bikes website. 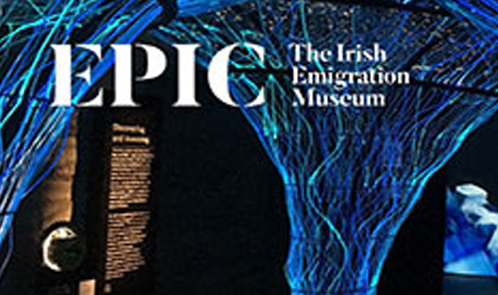 EPIC The Irish Emigration Museum is an interactive experience located in Dublin city centre. Uncover the dramatic and inspiring stories of the Irish who travelled the world, from early times to the modern day. Calculate your best ticket option. Click here to browse all ticket types and fares.